On Your Next Qualified Purchase! You may have heard the expression "It's written all over your face." You may have even used it before – maybe you've caught your child trying to sneak a lie past you. Our faces can reveal a lot about what we're thinking. But more can be written all over our faces — and the rest of our bodies — than we realize. Because the skin is our largest organ, it can provide important clues about what's going on beneath the surface. One of those clues has to do with acanthosis nigricans, or patches of dark skin. If you notice these, you should see your doctor right away. No, you don't need a skin cancer screening. You need to have your blood sugar levels checked. Doctors aren't entirely sure why, but these patches can tell you that your body is becoming insulin resistant. They're an early sign of prediabetes. 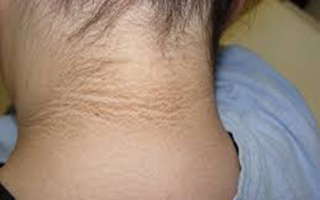 Researchers speculate that these dark folds might occur because insulin is overstimulating the skin. So if you notice them, you need to talk to your doctor, particularly if you have a family history of diabetes. If you do have these dark patches or if you know that you have high blood sugar or prediabetes, there are some lifestyle changes you need to try to make to reduce your risk of developing full-blown diabetes. The first, as I'm sure you've guessed, is weight loss. I know that's easier said than done. Certainly, around the holidays this is nobody's favorite topic. But losing 7% of your body weight will cut your risk of diabetes in half. If you weigh 150 pounds, that means you have to lose only 10.5 pounds to significantly lower your risk. This gravity-defying cream contains over 30 ingredients, including an Essential Fatty Acid Complex, Sandalwood and Barley Extracts to help rehydrate, reduce puffiness, and help minimize the appearance of lines and wrinkles. Hand-in-hand with weight loss is exercise. You should aim to get 175 minutes a week, which breaks down to just 25 minutes a day. If you spend the majority of your time sitting, you should also try to get up and walk around at least once an hour. Ideally, you should do this in addition to your 25 minutes, but it's better than nothing if it's all you can manage. In your healthful diet, try to incorporate apple cider vinegar. It contains acetic acid, which has been shown to lower blood sugar and aid in the digestion of protein. Try making it into a salad dressing for a blood-sugar friendly combo. Another way to help reduce your blood sugar is by taking a formulation like Advanced Blood Sugar Formula. This formula has nutrients that are scientifically proven to lower your blood sugar. Finally, reduce stress and increase your relaxation with meditation, yoga, and sleep. Any anti-stress activity will help lower your blood sugar, as will getting enough rest. Getting less than six hours of sleep a night triples your chance of having blood sugar problems. If you're concerned that your lifestyle may be leading you toward diabetes, take steps to change it. And when you do your monthly skin checks to look for issues and changes, keep an eye out for acanthosis nigricans too. They'll help you know if you need to take more serious steps to improve your health. Nneka M. George, Julia Whitaker, Giovana Vieira, Jerome T. Geronimo, Dwight A. Bellinger, Craig A. Fletcher, Joseph P. Garner. Antioxidant Therapies for Ulcerative Dermatitis: A Potential Model for Skin Picking Disorder. PLOS ONE, 2015 DOI: 10.1371/journal.pone.0132092. Dodd S, Dean O, Copolov DL, et al. N-acetylcysteine for antioxidant therapy: pharmacology and clinical utility. Expert Opin Biol Ther. 2008;8:1955–62. Upgrade your lip balm to our specially formulated Lip Therapy that's designed to replenish natural moisture, restore youthful suppleness, and deliver dramatic, age-defying results. Plus, save 40% off each tube when you order our 3 pack today. Free Report On This New Skincare Breakthrough! 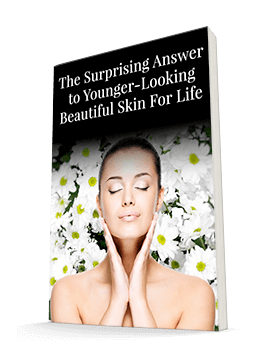 The all natural secret to helping your skin look years younger. Plus, the key to help repair and reduce visible signs of aging.